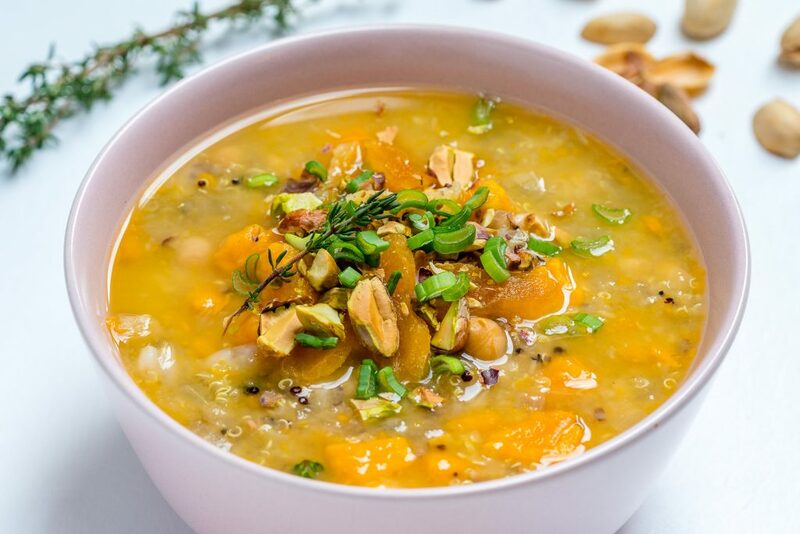 This Clean Eating Crock Pot Sweet Potato + Quinoa Soup is Wildly Nutritious! 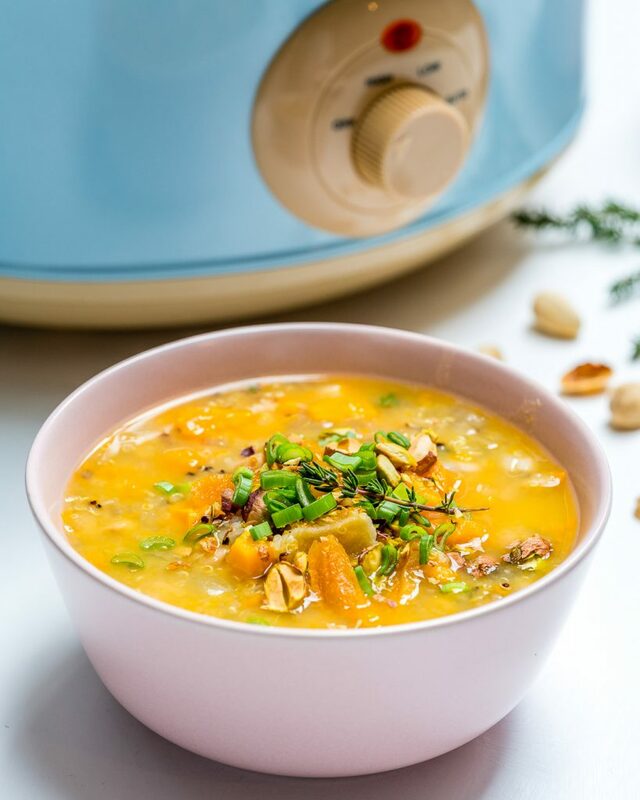 Warm up with this Wildly Nutritious, Simple, Crockpot meal! 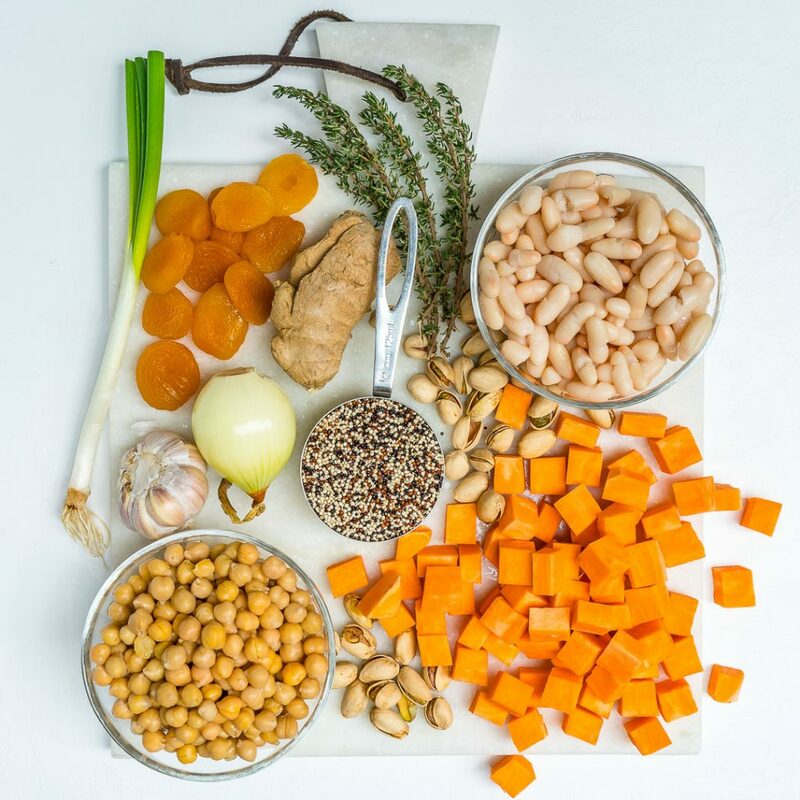 In a 5- to 6-quart slow cooker, add the sweet potato, chickpeas, onion, ginger, coriander, garlic, thyme, and quinoa. Pour in 8 cups of broth, then cook, covered, until the sweet potato is tender, about 2.5 hours on high or 5 hours on low. In a medium bowl, mash half the Cannellini beans with a fork until fairly smooth. If the slow cooker is on low, turn it to high and stir in the beans (mashed + half unmashed), diced apricots, and season with sea salt and fresh ground pepper. Stir well to combine and cook for an additional 10-15 minutes. 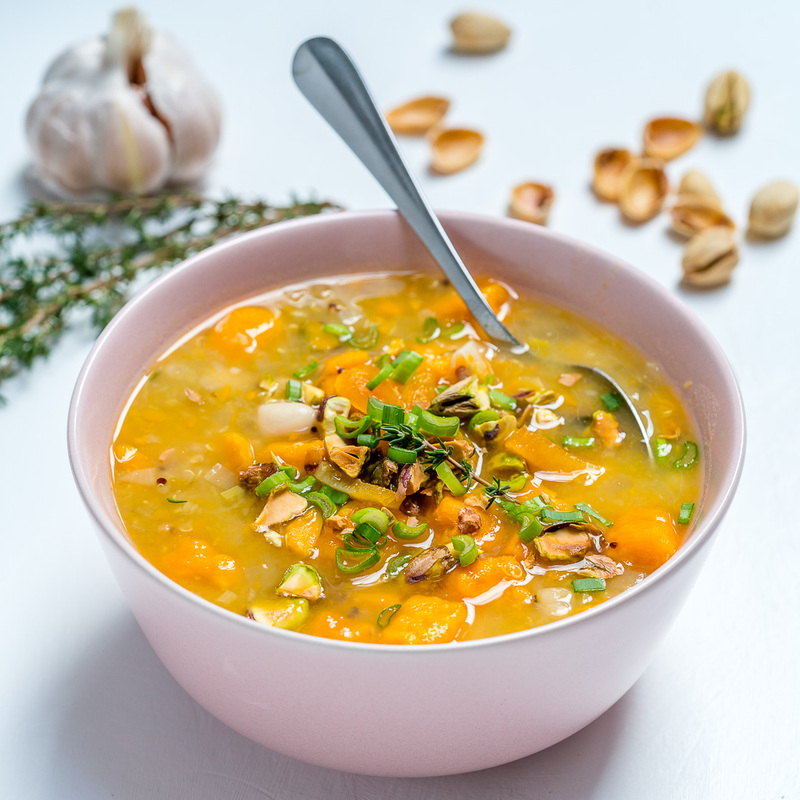 Ladle the soup into bowls and top with chopped pistachios and green onion.